Arrival presents many clues without revealing its hidden truth until the film's conclusion. The success of the movie’s masterful storytelling is owed to director Denis Villeneuve and author Ted Chiang, whose sci-fi novella “Story of Your Life,” served as the film's source material. Chiang’s narrative nominates a linguist, Louise Banks (Amy Adams), to decipher the otherworldly language of the Heptapods, an alien race who has descended across the earth. As the international community grows increasingly alarmed by their presence, and foreign and domestic armies prepare for retaliation, Louise is tasked with the unenviable responsibility of peacefully communicating with the Heptapods before global violence eclipses the conversation. 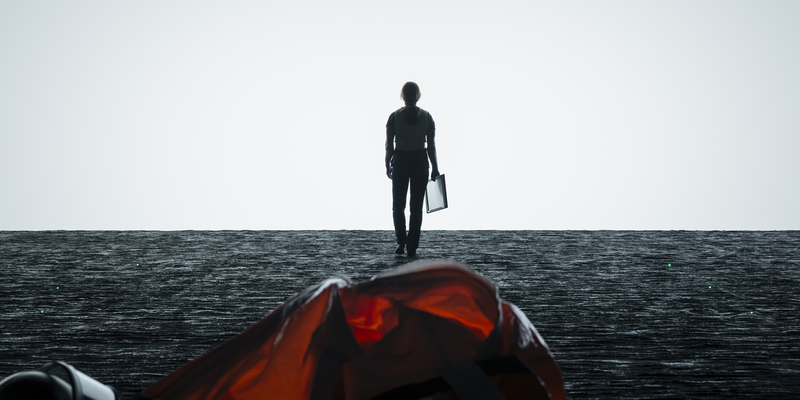 Since Arrival premiered at the Toronto Film Festival, it has been widely praised as one of the best science fiction movies in decades. In addition to exceeding box office expectations, Villeneuve’s movie has earned the respect of critics and audiences for its mature and thought-provoking approach to the genre. As the enigmatic story unfurls, Arrival reveals some paradoxical twists and a disarmingly emotional ending. There’s a lot to unpack from the movie, so we’re here to help clarify some of the story’s most pressing questions. This Page: Who Are the Aliens? Page 2: What Is The Alien Gift? Despite the foreboding news reports and hasty military intervention, it is eminently clear that the “arrived” are non-aggressive beings. If they sought to punish planet earth, they would have already done it. Despite landing in a group of twelve, the alien spacecraft leave no emissions or radioactive signs of inter-communication between ships. They have no "footprint," as modern environmentalists might say. Like a giant, obsidian contact-lens, these airborne monoliths have clearly come to earth for one reason: to communicate. They even have visiting hours established where interested parties can enter into the ship through a fascinating zero-gravity portal. While the rest of the world scrambles to interact with their own local Heptapods, Louise, Ian Donnelly (Jeremy Renner) and Colonel Weber (Forest Whitaker) focus their attention on the one that landed in Montana. After making first contact with the aliens, Ian finds himself increasingly persuaded by Louise’s linguistic gifts, naming the Heptapods after the legendary comic duo, Abbott and Costello. Through a variety of visual aids and mechanisms, Louise and Ian struggle to identify “Who’s On First?” as they build a pathway to communicating with the aliens. As Abbott and Costello grunt with their whale-like sounds and emit ink-laden symbols, it becomes clear that their language is a world apart from our own. Because the Heptapods perceive time non-linearly, their language becomes an increasingly difficult lexicon to crack. As the film's promotional posters and every onscreen member of the armed services ask, "Why Are They Here?" It's the primary reason Colonel Weber hired Louise in the first place. After the death of Abbott (which Costello describes as "death process,” affirming the Heptapod’s non-linear perception of time), he reveals to Louise that the Heptapods will need earth’s help in 3,000 years. Though we never learn more about the nature of the threat, Costello clarifies the earlier confusion over the “weapon” he discussed with Louise. Less a tool of force and more of a gift of understanding, Costello lays the groundwork for the Heptapods’ future alliance with mankind by helping Louise learn their language. When she visits Costello by herself, wading in the murky atmosphere of the ship, she absorbs the total understanding of Costello’s form of communication, viewing time from the same omnipresent perspective of the Heptapods.